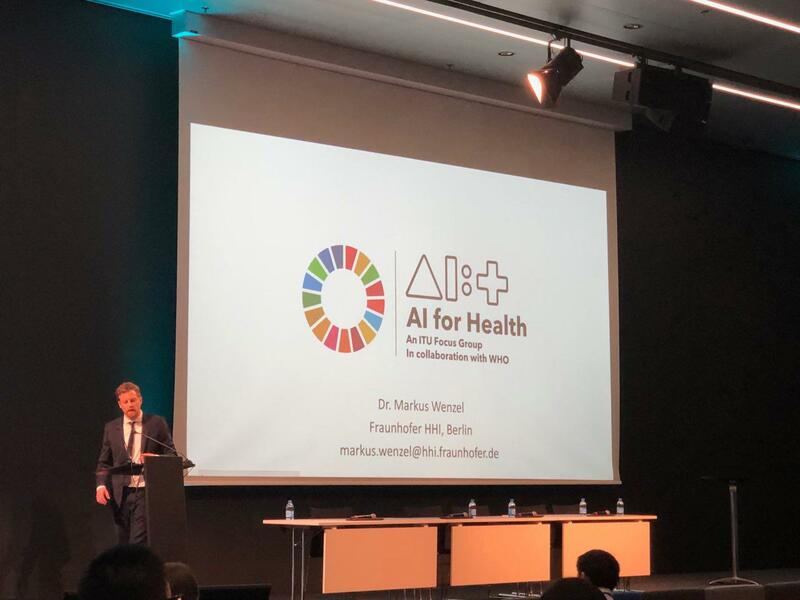 Heimo Müller from our group is taking part at a very important meeting in Lausanne: the 3rd ITU/WHO Workshop on “Artificial Intelligence for Health” at the École Polytechnique Fédérale de Lausanne (EPFL) in Switzerland. This workshop is the third in a series of workshops linked to the ITU Focus Group on Artificial Intelligence for Health (FG-AI4H). The aim of these workshops is to provide a platform for researchers, engineers, practitioners, entrepreneurs and policy makers to discuss standardization opportunities for the assessment of AI for health solutions and to identify use cases and data required for the evaluation and validation with open benchmarks.